Project Bo is over 75% of the way there. Let’s keep this moving! Through your generous donations and pledges to date, we have raised a mind-blowing £76,751 from a total of 273 donors. This has allowed us to purchase the batteries and place the order for the first batch of solar equipment and labour costs to get this project well and truly off the ground. The Solar Panels are now secured with the wholesaler, and procurement for civil work has been granted to start. We are doing extremely well, but still need to raise an additional £23,249 to reach our end-target of £100,000, so please do keep spreading the word and supporting in any way you can. 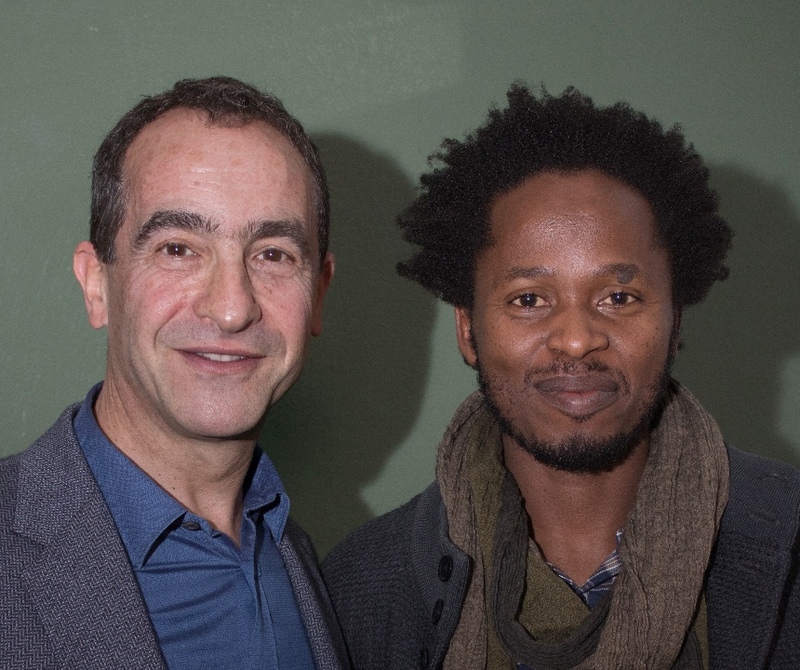 An Evening with Ishmael Beah - Our fundraiser last month was a huge success and we've had nothing but wonderful feedback from those who attended. We'd like to thank Ishmael for taking the time in his busy schedule to come and give his reading, and to all of you who came along on the night. We raised a total of £4,460 on the night - what a great result! The Rahul Boyle Foundation - Sonali and Harry Boyle who have been partners and huge supporters of Project Bo since the very beginning have gathered together friends to run the Geneva Half Marathon with them on May 6th. And while it's not the Marathon des Sables or any other crazy or extreme marathon, for some of the guys and girls running it, it might as well be! So far they have raised an astounding £9,800 (plus an additional £1,558 in Gift Aid) and are working hard on getting even more donations in order to get Project Bo across the line. Please show your support for the team running the Geneva Half Marathon by clicking here. Will Rayward-Smith - Will, a friend of Project Bo in over in Sydney, is running Ultra-Trail Australia through the Blue Mountains on May 19th and has raised £710 for Project Bo. He's on a mission not only to run the staggering 50km but to raise £1000 for Project Bo. He is almost there with donations, but needs your support for the extra £290! Please help Will out however you can by clicking here. We'd like to wish everyone involved in the above fundraising events the best of luck as these are by no way small feats, and we would like to say a huge thank you again to you all for your support so far - without your generosity, we couldn't make this happen. ProjectBo is a project of the Liebreich Foundation, UK Registered Charity Number 1136835.